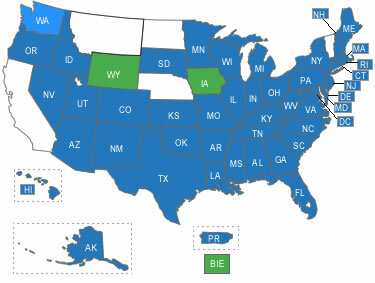 The U.S. Department of Education has invited each State education agency (SEA) to request flexibility regarding specific requirements of the Elementary and Secondary Education Act of 1965 (ESEA), as amended by the No Child Left Behind Act of 2001 (NCLB) in exchange for rigorous and comprehensive State-developed plans designed to improve educational outcomes for all students, close achievement gaps, increase equity, and improve the quality of instruction. Information on other waivers granted under authority of Section 9401 of ESEA. If you have questions regarding ESEA flexibility that are not answered in the attached documents, or as SEA teams you would like to schedule a time to speak with Department staff about ESEA flexibility requests, please contact us at ESEAflexiblity@ed.gov. Click here to sign up to receive an email when this page is updated.